Up on the blog today we have a terrific Project Life layout from Stephanie! Take a look! Hey y’all! Hope you are having a Wonderful Wednesday. I have a PL spread to share today featuring flair and sequins from The Crafty Pickle! I have used the Autumn flair and the Autumn Sequins mix. The flatter back of these flair buttons make them easy to add to my PL pages & they fit in my album without a ton of bulk! Check out the awesome selection in the store. The two larger journal cards are from WRMK & the smaller “Gratitude” card is from MAMBI. Fall is one of my favorite seasons & I adore these photos from a trip to an apple orchard that our family likes to visit. The flair & sequins helped give the feel of Autumn to my page. Thanks for visiting today. Keep crafty!! Thanks Stephanie! I love how the sequins and flair added the special touch to an already awesome layout! 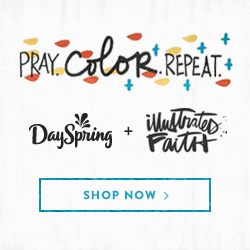 Dont forget our blog hop is still going on now until Friday! Check out the post HERE to hop along and win some prizes! Hi there, its Treasa here today to share a Project Life card that I made using some of the new Autumn sequin mix in The Crafty Pickle shop and a new flair badge that Taniesa created for wonderful fall season. I must confess that I absolutely love the fall, mostly because of the beautiful trees and the cooler weather but also because its “Pumpkin Season” and I love anything pumpkin and one of my most favorites are Pumpkin Spice Lattes from Starbucks. These things are fabulous and its like getting a mouthful of fall. As soon as I received the Autumnsequin mix and thePSl flair I knew I had to create a Project Life card to document my love of PSL. 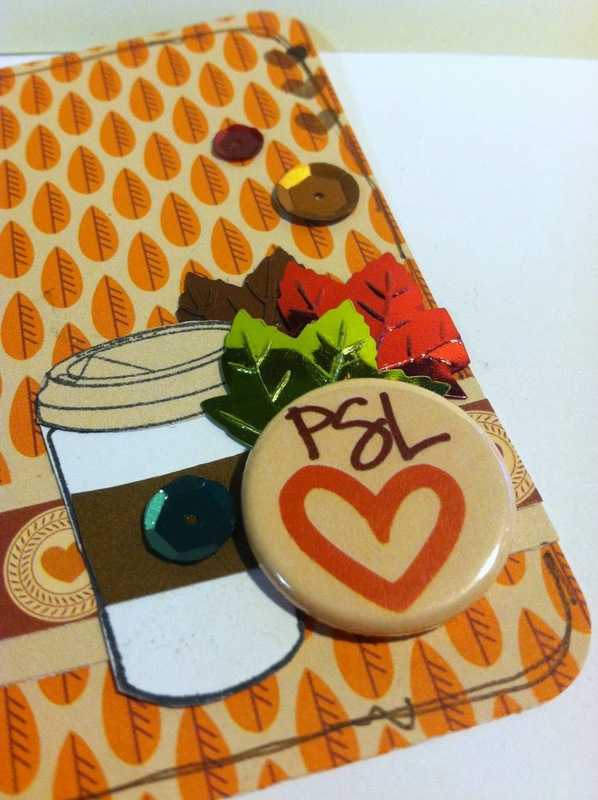 Here is a close up of that wonderful PSL flair and some of the sequins from the Autumn mix. I also used some of the paper from the Close to my Heart Pathfinding line. This collection is so perfect for fall and coordinates so well with the Cozy Fall button flairs in the shop. You can also find the Pathfinding collection in Taniesa’s CTMH shop here. Here’s one last look at the gorgeous Autumn sequin mix in the shop. 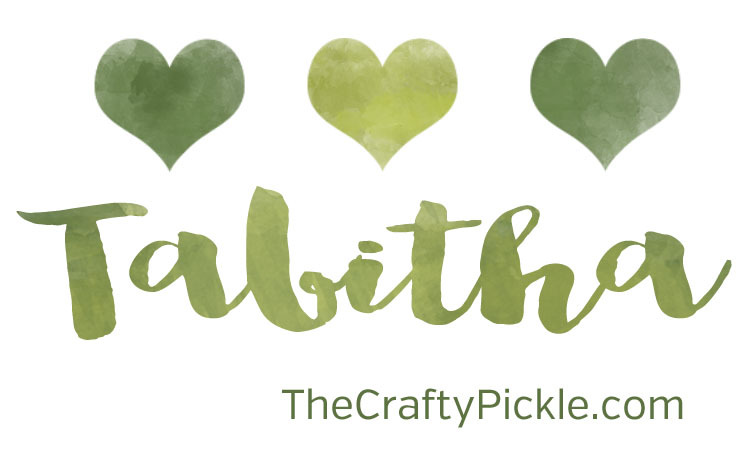 Thank you for stopping by and go check out The Crafty Pickle shop and blog. Thanks, Treasa! 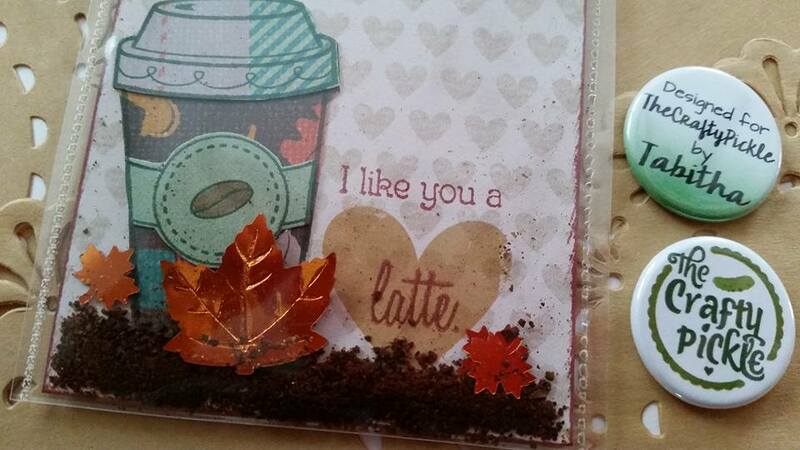 I loved how you used all the fun fall products to make such a beautiful card for your Project Life album! !